I opened Maple Brook Studio to the public in 1988. At that time my focus was mostly on pen & ink and oils. For a while I even had a frame shop in what I call my “way-back room”. Previous works you will see in my studio include Chinese brush painting, stone sculpture, metal sculpture, and color pencil paintings. 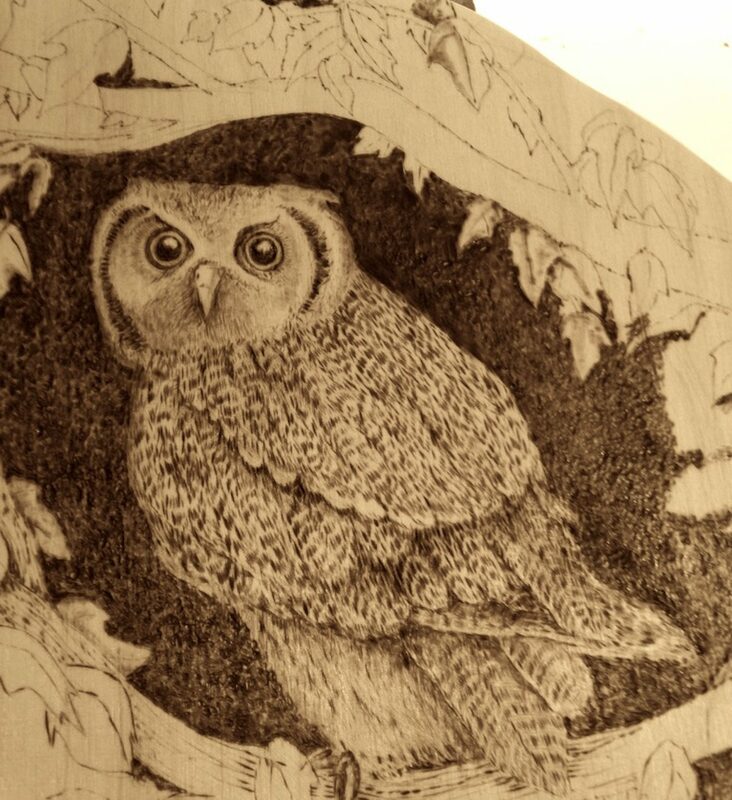 Since 2014 I have been totally focused on pyrography. Viewing my work online is okay, however, seeing pieces in person is much better. I invite you to make an appointment to visit.